In the early 1700s, the (Al-Qasimi) Qawasim confederation migrates to the coast of the Arab Gulf from the Persian littoral. Here, they establish their main base in Julfar (later Ras al-Khaimah), soon extending their sway all along the lower Gulf, across areas of the east coast and towns on the Persian littoral. 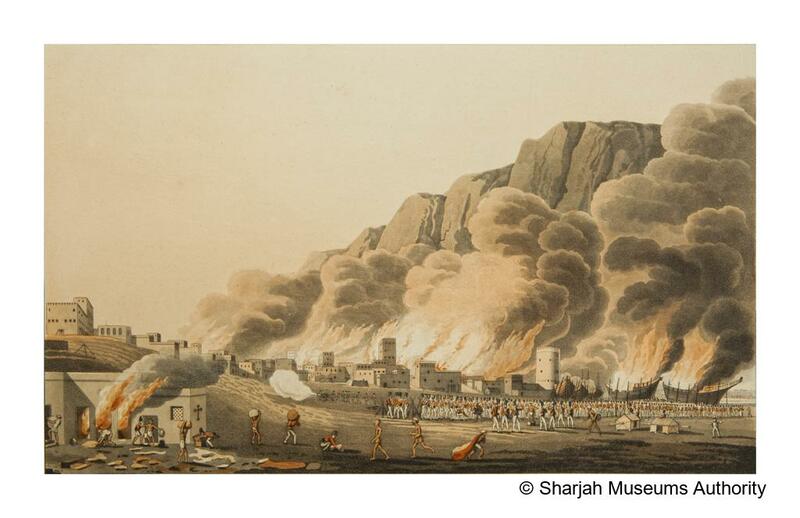 Between around 1790 and the early 1800s, threatened by increasing British inroads into traditional Gulf economies and politics, and supported by the Persians and Omanis, the Qawasim attack British vessels to defend their economic empire in the Lower Gulf. Sheikh Sultan bin Saqr succeeds his father as leader of the Qawasim. He expands the Qawasim Empire to the east to encompass the areas now known as Khor Fakkan and Kalba. He delegates the administration of key strongholds to his brothers and later to his sons. His half-brother Salih bin Saqr rules Sharjah from 1803 to 1838, followed by his son Saqr bin Sultan (until 1846), and then his son Abdallah bin Sultan (until 1855). 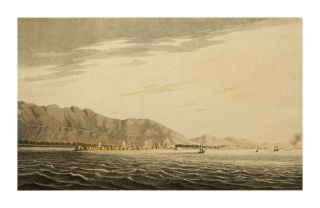 A temporary Peace Accord is achieved between the British East India Company, represented by Captain David Seton the Resident at Muscat, and Sheikh Sultan bin Saqr. This comes following several incidents labelled by the British as “piracy”, which the Qawasim argue is crucial defence of their existentially important economic interests in the Gulf region. Repeated skirmishes between British and Qawasim vessels are labelled “piracy” by the former and taken as justification to plot the final destruction of the Qawasim by the latter. 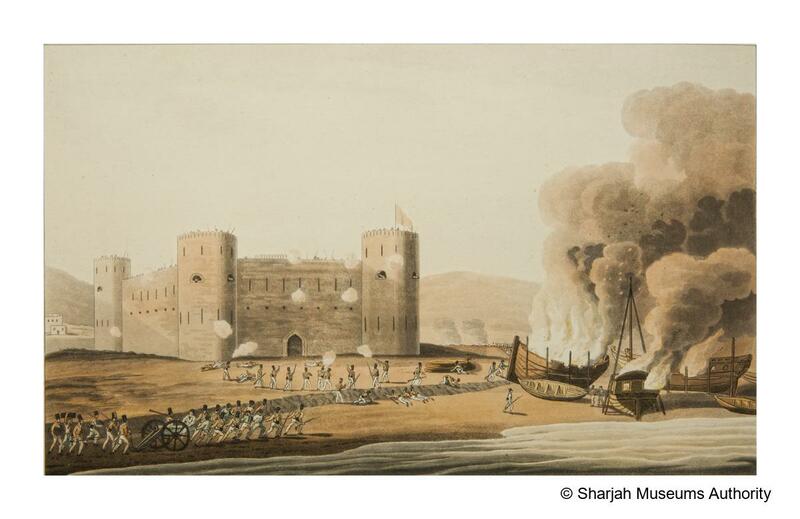 The British launch naval attacks against the Qawasim strongholds at Ras al-Khaimah along the Gulf and on the Persian littoral. 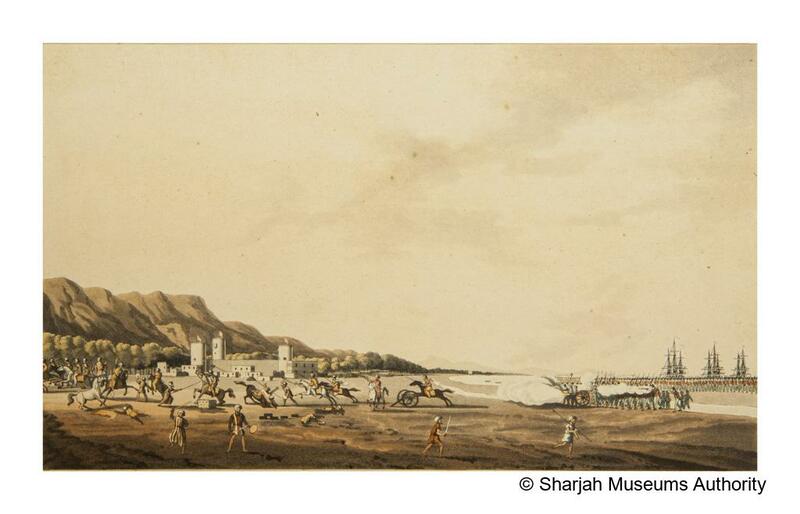 However, the Qawasim succeed in rebuilding their fleet and positions to resume their defensive trade-war against the British and their Omani allies. The British put a stop to Qawasim hegemony in the Lower Gulf region by destroying their ports, strongholds, and fleets on both shores of the Arab Gulf. The British impose a Peace Treaty on the Qawasim and other sheikhs of the Arab littoral of the Gulf. The signing is preceded by a preliminary agreement forcing the sheikhs to turn over all remaining vessels, fortifications and weapons in exchange for the restoration of their fishing and pearling vessels. The Treaty enjoins all signatories to fly a specific red-and-white flag. After the defeat of the Qawasim by the British, a British Residency is established at Bushire on the Persian littoral to represent Britain’s political, economic and military interests there. Shortly after, a “Native Agent” is based in Sharjah as his representative. Native agents were generally non-Arab but Arabic-speaking Muslims from the Indian subcontinent or the Persian littoral of the Gulf, chosen for their loyalty to Britain and their in-depth local and regional knowledge. 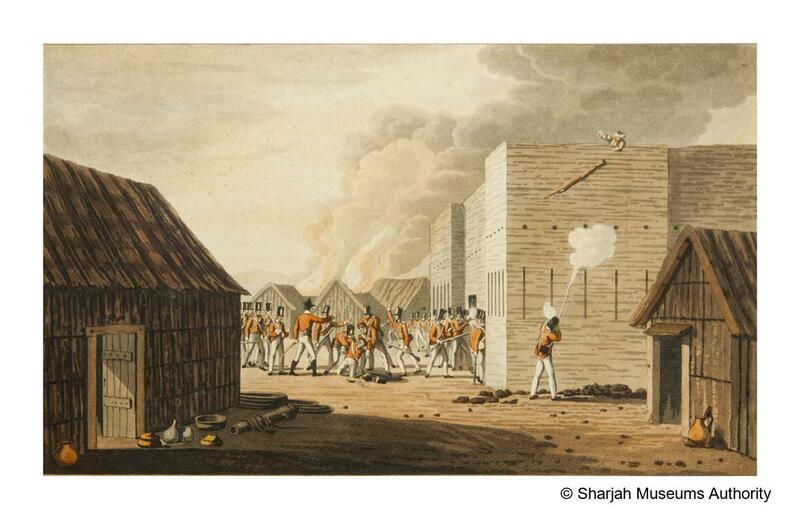 Their task was to monitor activities on the Trucial Coast and liaise with local powers on Britain’s behalf. The British impose a Treaty to prohibit maritime warfare among the Arab littoral sheikhdoms during the pearling season from May to November with Britain as enforcer of the peace. The British now term the lands of the signatory sheikhdoms as “The Trucial Coast” or “Trucial Oman”. The Treaty is renewed regularly until 1853, when a Perpetual Treaty is put into place. A Treaty of Maritime Peace in Perpetuity is concluded between Britain and the Trucial Coast rulers. Britain assumes the right to police maritime peace and commits to protecting the sheikhdoms from external interference and attack.